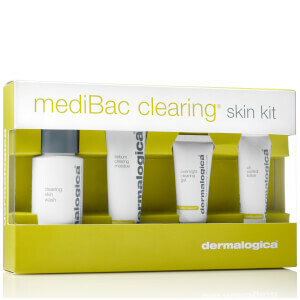 Dermalogica are skincare experts, passionate about creating highly effective, bespoke solutions to common skin concerns. The experts at Dermalogica know that everybody’s skin is unique and requires bespoke care in order to keep it healthy and radiant. 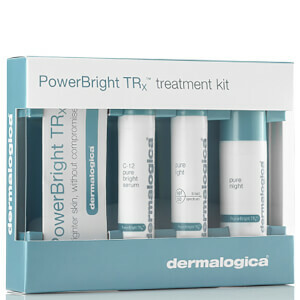 Dermalogica’s skin kits contain a full step-by-step regime to care for your skin type, whether you’ve got acne-prone, aging, sensitive or dry skin – the Dermalogica kits will expertly care for your complexion. Each skin kit contains everything you need to keep your skin in optimum condition and the handy travel-sized products and travel pouch are perfect for when you’re on the go. 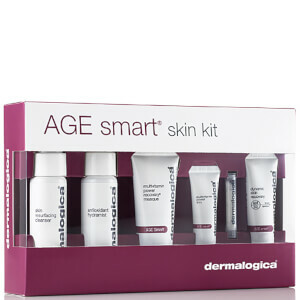 Dermalogica’s AGE Smart Starter Kit contains everything you need to keep fine lines and wrinkles at bay, helping to protect mature and prematurely-aging skin from the visible signs of aging. The AGE smart starter kit contains a full month’s regimen to help to smooth and firm the skin to leave you with a more youthful looking complexion. The peptides and glucosamine in Dermalogica’s AGE smart collection work to target and repair integral damage before it becomes visible to the naked eye, helping to keep wrinkles and fine lines at bay. 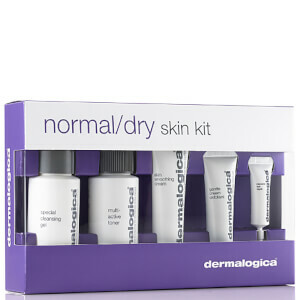 Dermalogica’s Normal/Dry Skin Kit has been formulated to thoroughly nourish normal/dry skin, with a variety of travel sized skin treats to ensure your skin is well balanced and hydrated wherever you go. 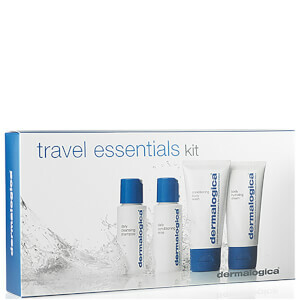 If you’re a first time Dermalogica user, then this is the perfect kit for you. The collection includes a cleanser, toner, exfoliant, face cream and lip treatment which are designed to treat your normal/dry skin, helping to care for your skin’s specific needs. Each of these skin treatments work in harmony with each other to brighten the complexion, even out the skin tone, protect from UV rays and reduce fine lines for a more youthful, radiant looking complexion.